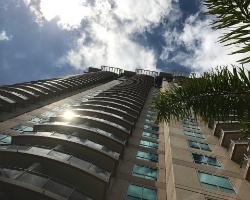 A modern 37-story high-rise, this resort features an outdoor swimming pool, tennis courts, recreation deck and barbecues, saunas, and a children's play area. A convenience store and snack shop are also available at the resort. Diamond Head, Pearl Harbor, Punch Bowl, Sealife Park, Honolulu Zoo, Chinatown, and International Market Place are only a few of the area's many attractions and sights. 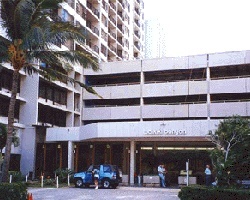 The resort is just one block from Waikiki Beach. 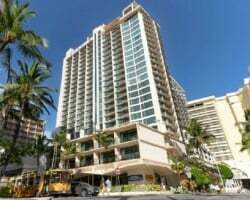 *Hokulani Waikiki by Hilton Grand Vacations Club* is centrally located in the heart of Waikiki and is the perfect vacation spot to enjoy the historic and cultural sites of O'ahu. Guests will enjoy luxuriously appointed 1-bedroom suites with fully-equipped kitchens, comfortably living and dining spaces as well as breathtaking views from their private lanais. 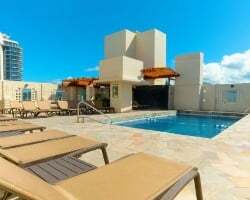 The resort features a refreshing rooftop plunge pool, a modern fitness facility and complimentary Wi-Fi in each suite and throughout the resort. 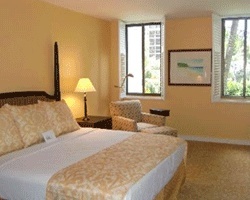 To discover move, visit www.hiltongrandvacations.com. 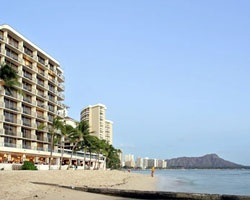 *Imperial Hawaii Vacation Club at Waikiki* is a beautiful property located in Honolulu, Oahu, Hawaii! 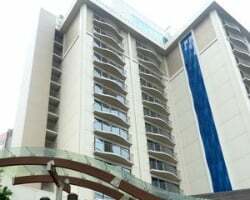 The resort is close to the beach, shopping, restaurants, and nightclubs and features a rooftop swimming pool, 26th floor owners' lounge, 24-hour restaurant, and convenience shops in the lobby. 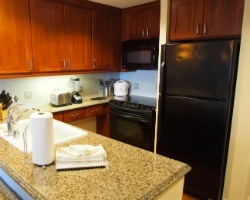 All units feature DVD players, coffeemakers, microwave ovens, and refrigerators. 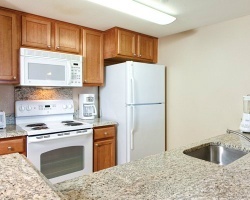 Most one- and all two-bedroom units come equipped with full kitchens. 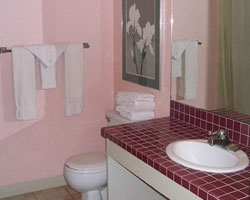 Guests can unwind at the hot tubs and saunas after exercising in the extensive fitness room. 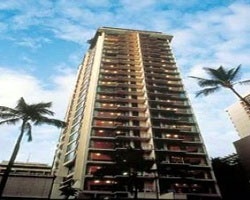 For more information, visit www.imperialofwaikiki.com. *Kalia Suites by Hilton Grand Vacations Club* is a destination unto itself, set against a breathtaking backdrop of stunning natural wonders! A tantalizing variety of restaurants, world-class shopping, and a plentiful array of activities and amenities are but steps away...and just beyond The Village's haven of hospitality---scuba diving, snorkeling and Atlantis Submarines offer unsurpassed views of a vibrant underseas world! 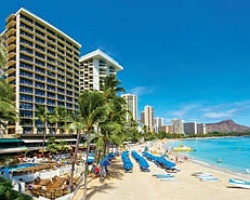 Poised on Waikiki's best beach, the resort offers guests access to the abundant treasures of the 20-acre resort including: recreation facilities, classic restaurants and colorful live entertainment. For more information about this beautiful resort or other fabulous Hilton Grand Vacations Club resort locations, visit www.hiltongrandvacations.com. *Lagoon Tower by Hilton Grand Vacations* is a destination unto itself, set against a breathtaking backdrop of stunning natural wonders! A tantalizing variety of restaurants, world-class shopping, and a plentiful array of activities and amenities are but steps away...and just beyond The Village's haven of hospitality- scuba diving, snorkeling and Atlantis Submarines offer unsurpassed views of a vibrant underseas world! 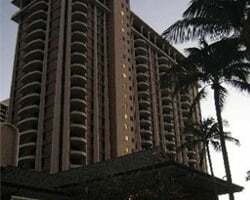 Poised on Waikiki's best beach, the resort offers guests access to the abundant treasures of the 20-acre resort including: recreation facilities, classic restaurants and colorful live entertainment. For more information about this beautiful resort or other fabulous Hilton Grand Vacations Club resort locations, visit www.hiltongrandvacations.com. 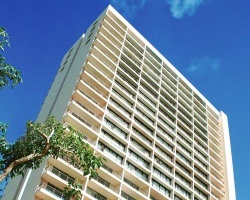 *Lifetime in Hawaii At the Royal Kuhio* timeshares occupy the 22nd, 23rd, 26th and 27th floors of the Royal Kuhio building- each unit offers spectacular views! 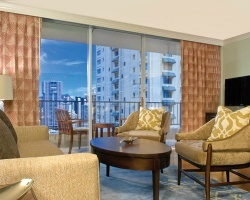 Views showcase Honolulu, Diamond Head, the mountains, and the beachfront. 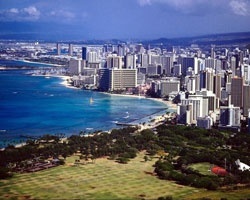 A few nearby attractions are: The International Market Place, Ala Wai Golf Course, Waikiki Beach, Cruises, and Luaus. All units are studio/1 bedroom units that sleep 4 persons comfortably. For more information, visit www.vlmci.com. 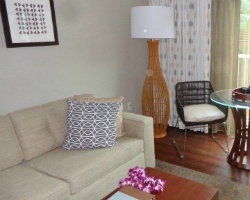 *Outrigger Reef on the Beach* is a beautiful resort in Waikiki, and having been recently renovated with $110 million dollars, it offers guests a distinct, luxurious atmosphere and brand new guestrooms and suites. Guest services at the resort include a fitness center open 24/7, a sitting room with Hawaiian artifacts and literary works, complimentary high-speed Internet, resort shops, reception, a swimming pool, whirlpool spa, and complimentary long-distance calls to neighboring islands, mainland US and Canada. For more information about this stunning resort, visit www.outrigger.com/2/. 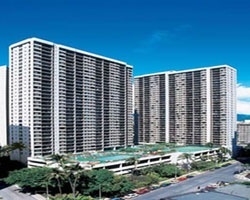 *The Grand Islander by Hilton Grand Vacations Club* is a luxury 418-unit vacation ownership tower located within the world-famous Hilton Hawaiian Village Waikiki Beach Resort. The 37-story tower will feature one-, two-, and three-bedroom suites and penthouses, each furnished with extensive amenities including full kitchens, spacious living and dining areas and private bedrooms. Special care has been given to include custom-made pieces in each unit as well as locally sourced materials dispersed throughout the resort, such as carved wood and metal accents and curated artwork. To discover more, please visit www.hiltongrandvacations.com. 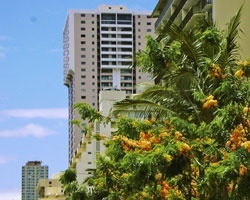 When you stay at *Outrigger Waikiki on the Beach* on Kalakaua Avenue, Waikiki's main street, you're not only a block from the beach but also next to the area's best shopping. 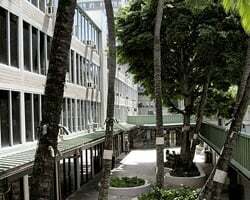 You're right above Macy's, adjacent to open-air International market place and across the street from Royal Hawaiian Shopping Center. If you prefer a stay with live entertainment and other activities on site, this choice is sure to make your visit a wonderful experience! 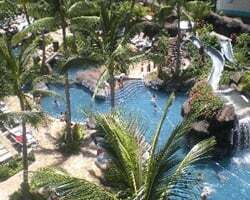 *Wyndham Royal Garden at Waikiki* offers the ambiance of European luxury alongside a tropical Hawaiian setting- Waikiki Beach is just 5 minutes from the resort! Shopping, dining and golf are at their best in the immediate area, and the resort offers amenities such as an outdoor pool, sauna, and fitness center, to name a few. 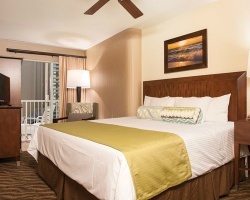 Escape to the vacation heaven that is Hawaii, and try Wyndham Royal Garden at Waikiki! 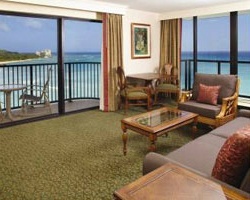 For more information, visit www.clubwyndham.com. It's 1 p.m. and you have a tough decision to make. Surfing Waikiki waves a block away? 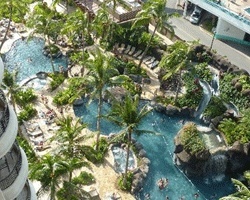 Or poolside games beneath balmy Hawaiian sunshine? The new *Waikiki Beach Walk* is the largest development in Waikiki history with nearly eight acres of shops, eateries, and live entertainment, and close to just about everything. And that means one thing; more ways to play than you ever dreamed possible! Rental is available in week 28, July 11th through July 18th, 2019! Inquire for details! Rental is available July 20 - July 27, 2019. 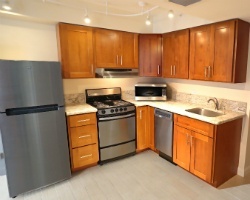 2 bedroom, 2 bath that can accomodate 8 guests comfortably. Inquire for more details or book today! 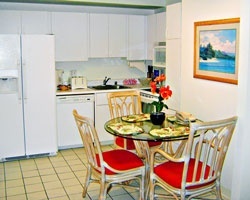 Inquire today regarding dates available for your Hawaiian retreat! Come to Hawaii and escape all the everyday stresses of life! Schedule your vacation today! Try before you buy! Book the rental today! 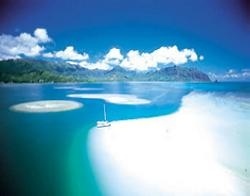 Enjoy a dream vacation in Hawaii! 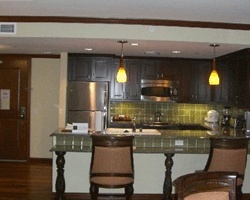 Rare rental opportunity in gorgeous Waikiki! Escape to Honolulu! Price is negotiable. 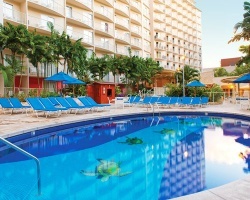 Escape to this fantastic Honolulu resort in the midst of the fun! Rental usage in Platinum Plus week! Pick your dates & book your trip today! Owner also has weeks available for rent. Dates available upon request! Please allow 14 days. Hurry and reserve your week in Hawaii now! Escape to paradise today! Inquire regarding dates available now! Floating week of your choice! Book today! Secure your next vacation today! Inquire for dates available! The possibilities are up to you! Use points to secure any location within the HGVC network! 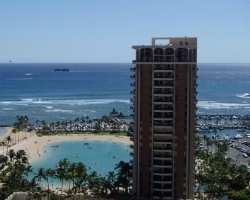 Vacation in Honolulu or pick another Wyndham destination! 154,000 points available for rent! Book your dream trip today! 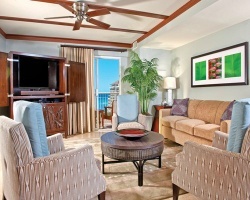 Enjoy Waikiki Beach or pick another Wyndham resort! 168,000 points in even years for rent! Pick your destination & dates & book now! 111,000 points available now for rent! Flexible rental available that is based on points! The options available are endless! Great rental available that leaves all the details in your hands! Inquire today!